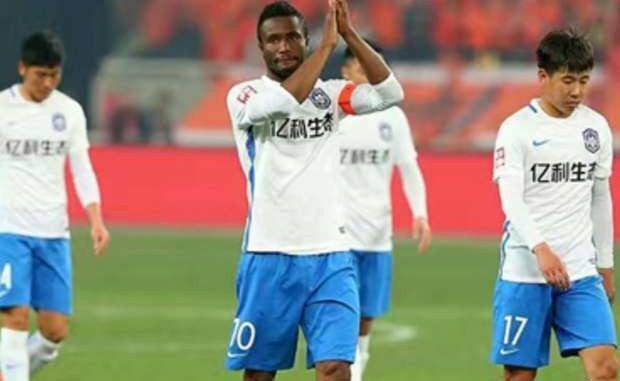 Super Eagles captain, John Obi Mikel is considering leaving his Chinese club side, Tiajin Teda, for a possible return to an European club side. Mikel is also considering a move to Saudi Arabia side Al Nassr, where another Super Eagles star, Ahmed Musa, is already plying his trade. The midfielder is close to an exit away from China. Mikel has given the go ahead to his representatives to continue talks with Al Nassr, according to Own Goal. The Saudi club has made an offer to the player but he is yet to commit himself to the deal even though it could see him earn astronomical amount as salary. Al Nassr are not the only team interested in the former Chelsea star with a team from Qatar and another from the United Arab Emirates (UAE) also keen on his services although a return to Europe still remains his priority.